We, Katariyaa Steel & Alloys, established in the year 2006, are manufacturers, exporters and suppliers of a wide range of high grade Ferrous and Non Ferrous Products. Offered by us, these ferrous and non-ferrous products are inclusive of Buttweld Fittings, Compression Tube Fittings and Industrial Flanges. 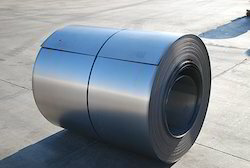 Pushpak Steel & Engineering Co.
As per the needs and requirements of our clients, we are involved in providing Nickel Alloy Sheet. Grade: 301, 304, 304L, 316, 316L, 321, 201, 202, 409, 410, 430. - 1 MM TO 200 MM THK IN 1000 MM TO 3000 MM WIDTH x 2500 MM / 5000 MM / 10000 MM / COIL. - ASTM / ASME A 387 GR F 5, F 9, F 11, F 12, F 22, F 91.